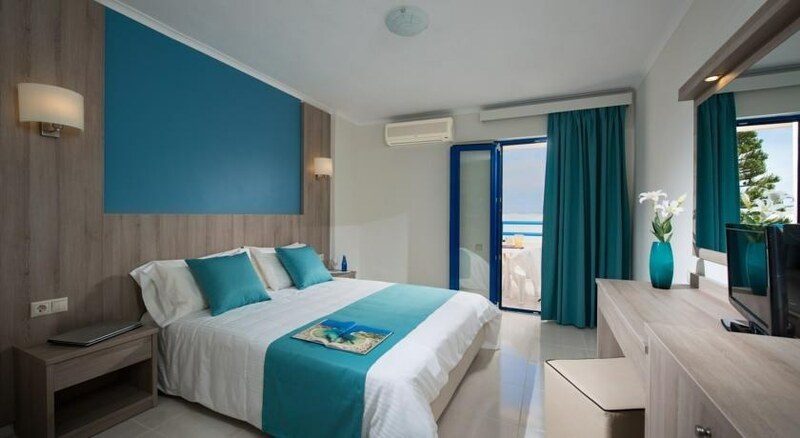 A delightful hotel with a bright silhouette, Central Hersonissos Hotel is a perfect holiday venue. It is at a distance of only 7 minutes on foot from the famous Aquaworld Aquarium which is open seasonally. The closest beach to Central Hersonissos Hotel is the Bay of Malia. Guests can relax under warm Cretan hospitality in the property. 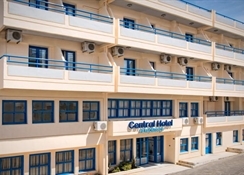 Central Hersonissos Hotel is at a distance of 25km east of Heraklion City. This one is a family run hotel quite close to the city and to the beach giving guests a perfect place to relax and stay. The hotel has an outdoor pool with sun loungers. This property is a great choice for travelers interested in barsand restaurants and nightlife. The hotel arranges for shuttle service at an extra charge for the tourists. A tour desk helps you with your ticketing and travel information. A streamlined property located at just 25km distance from the bustling city of Heraklion in Hersonissos, Central Hersonissos is housed in a modern building and provides clean accommodation with modern amenities. The bustling city of Hersonissos is just 300 meters from here. The rooms are simple and elegant featuring colorful hues. One can find free Wi-Fi facilities here. A TV with satellite connectivity and furnished balconies add to your leisure. The upgraded rooms feature a modern décor. The rooms also have mini fridges, air conditioning and electronic safes available at an extra charge. A daily housekeeping service ensures that the rooms are cleaned everyday. The hotel provides a complimentary breakfast served in a simple and low-key restaurant. A causal 24-hour lobby bar with a pool table serves some delightful drinks. The snack bar serves some light bites and snacks. Guests can enjoy a game of billiards at the pool table in the lobby. A modest outdoor pool with sun loungers is the perfect place to soak in some sun and take dip in the refreshing waters. The sun beds come with umbrellas. The lobby also has a game of darts apart from billiards for the guests. One can rent bicycles to explore the neighboring areas.